So we’re halfway through the World Cup, slowly getting used to those stupid o clock starts-so stupid some of them are too early even for Mini!But the tournament is hosted by the Kiwis and we like them so we forgive them these horrible early starts. After all, what are Kiwis but the Irish downunder?We are both small island nations, with a rather high concentration of sheep. We both suffer from more than our fair share of rain. Both of us are occasionally overshadowed by our bigger (but let’s be honest far less cool) neighbours. 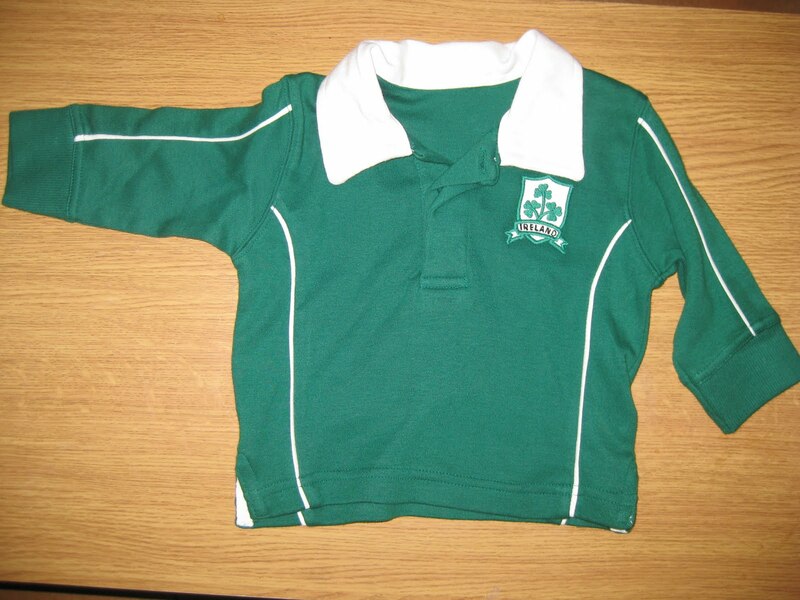 The Kiwis believe they’re going to storm to the final and win the Rugby World Cup 2011 and come this Saturday, hell we might think the same for ourselves!So lets send the Green Army into overdrive starting with the Mini army!These little Irish jerseys are to be found in Dunnes for €6-gotta be done! !C’MON IRELAND! !